I've got the best Father's Day gift idea! It doesn't involve neck ties or golf shirts. There will be no trips to Lowe's or Home Depot (you're welcome, ladies). You get to enjoy it too. So what is it? Risotto made with fresh Maine lobsters from Sagamore Lobster. Now that we live in Southern California instead of New England, we really miss fresh Maine lobsters. A couple of months ago, I wanted to make risotto with Maine lobster instead of with smaller spiny lobsters (which are plentiful here on the West Coast). Not only did I have trouble finding fresh Maine lobsters here, but when I did, they were prohibitively priced -- about $50/pound. Thankfully, Sagamore has made it cheaper to buy live lobsters and have them shipped 3,000 miles than to buy them in a store here (these live lobsters were courtesy of them). Though lobster is often best enjoyed simply boiled, there is something sumptuous about a creamy lobster risotto. That's because chewy Arborio rice is cooked to perfection in flavorful broth, dry white wine, and savory San Marzano tomatoes. Silky butter and aromatic fresh parsley only enhance the flavor of the succulent lobster meat. Dad won't soon forget this dinner. The only thing left to buy now is a Father's Day card. Unfortunately, I didn't see any on Sagamore's web site. Maybe they can work on that. Heat broth in a medium saucepan over medium heat. Once it's hot, lower to a simmer. 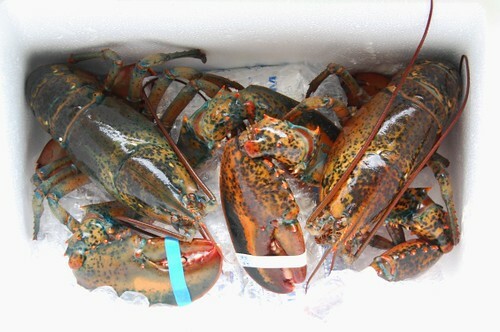 Bring a large pot (big enough to submerge the lobster completely) of salted water to a boil. To kill the lobster, hold a butcher knife over its head, about an inch behind its eyes; puncture and slice forward in one motion. Plunge the lobster head first into the boiling water for 7-8 minutes. The shell should be bright red, though the meat will finish cooking in the risotto. Remove the lobster from the pot, rinse, and allow to cool. To remove the meat, twist off the claws; crack them open with nut crackers, and extract the meat. Bend the lobster's body back from the tail until it cracks; remove it. Then push the tail meat out. Crack the lobster body open and break off the legs; use a skewer to push the meat out of the legs. For the risotto, saute the shallots in olive oil and butter. Add the Arborio rice; toast for 1 minute. Cook the risotto at a slow simmer, adding heated broth ½ cupful at a time. Most cookbooks will tell to stir continuously; I don’t, and you don't have to either. You can stir occasionally; just make sure the risotto absorbs the liquid before adding more. It will become tender and creamy as it cooks. Season will some salt about halfway through so it blends well, and add the white wine. Add the tomatoes with their juices. 4-5 cups of broth works for this recipe, but use more or less as needed. 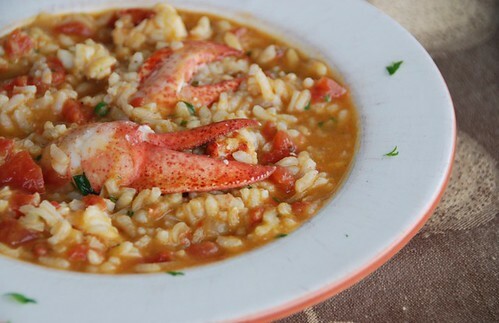 I prefer a soupier risotto for this recipe since it makes the lobster that much more tender. Add the lobster meat to the risotto, and cook 4-5 minutes. It takes about 20 minutes total for the risotto to become completely cooked. Taste it -- it should be wonderfully creamy and thick. It’s best al dente, which means it should still retain some firmness when you chew it. Season with salt and pepper. Remove risotto from heat, and add 1 tablespoon butter for added creaminess. Add fresh parsley, and stir well. Plate your risotto. Top it with a sprinkling of fresh parsley and a drizzle of extra virgin olive oil and serve immediately. **I used 3/4 cup of Arborio instead of 1/2 cup as I would normally do since I used both tomatoes and more wine. Plus, I wanted more risotto to balance the rich lobster. If you choose to use less risotto, then just reduce the amount of liquid you use. A heavenly risotto! I'd love to find such beautiful and fresh lobsters here! Makes you want to be a father! Those last two photos are just incredible . . . the eye then the claw . . . perfect! Gad I'm really hungry now. Give me this . . . I mean please, please. Susan, you know you're gonna get lots of hits with the mere mention of lobster? Nothing else to add as I'm not gonna dispense advice to a gal from Providence! PS. Nice seeing ya over at Kalyn's blog. Wow so so so super delicious. Your ada will be a happy on fathers days. Wonderful and delicious idea! 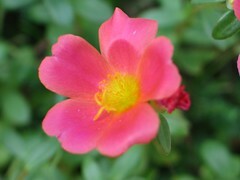 Your pictures are very beautiful. That really is the best father's day gift ever, wow! I love risotto and this takes it to a very tasty and classy place. I'll have to get my hands on some lobster--this had my stomach growling right at the title. Also, those photos are beautiful! You did a beautiful presentation with that dish! You dad is a very lucky man to have you as a daughter. Lovely presentation Susan. sara-You're gonna be in SD? 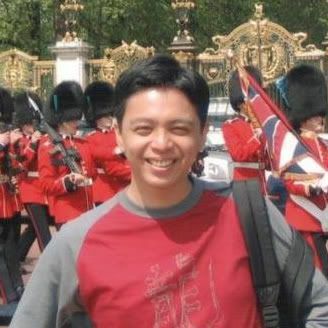 I'd love to meet up! rosa-I wish you could too. peter-That would be nice! We had a fantastic time--they are all so lovely. happycook-I didn't realize that. I hope it was happy. shn-You've got a sharp memory, my friend! mike-I hope you try it. It's really something special. manggy-Yeah, frozen just isn't as good as fresh. I'm so happy to hear you conquered risotto though! Woo-hoo! ivy-I'm lucky to have him as my dad. I live in NH and my husband is lucky enough to work with a man who bought a lobster boat with his father. It's sort of a hobby/way to make extra money for them and so we're able to buy some off of them for $7 per pound. Guess what we'll be eating as often as possible this summer. I'll be sure to try this recipe. Thanks! I don't know if you watch Hell's Kitchen, but they had a special of lobster spaghetti on the show last night, and it looked absolutely delicious. This looks even better, and I get a recipe for it!! Holy cow! Look at the lobster meat in that! Now that is the way to go...looks great. Oh my. 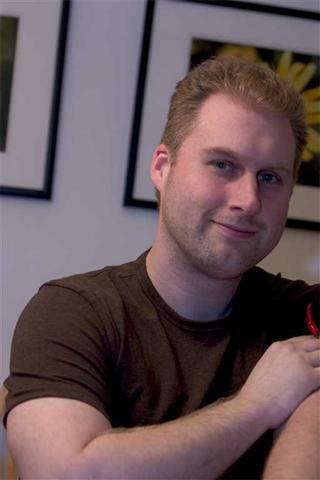 I'm swooning! That looks to die for. What New England dad wouldn't love this risotto for Father's Day?! 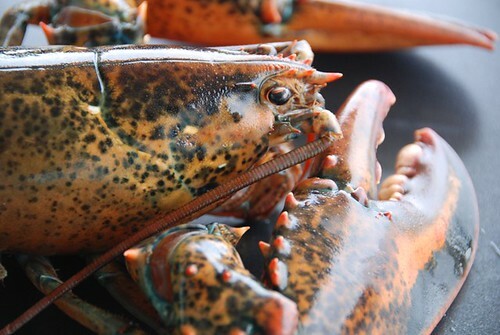 Beautiful recipe -- makes me glad lobsters are a local food for me! Susan, That my dear, is heaven on a plate!!! Susaaaaan Pleaseeeee, save a plate for me! I've got a lobster rice recipe too but it's not a risotto... kind of similar though. This makes a fab father's day gift! Actually, this would make a wonderful gift for anyone...I know I would be happy to receive such a dish! Yum! That looks crazy good. I love lobster. I think I should buy dad a lobster or two. If they're not too expensive. this is a meal fit for a king. great idea to make dad happy, full and proud! Wasn't your dad involved in the goant lobster post you posted last year sometime? LOL - clearly he's the lobster king! These beasts look incredible and the risotto even better. Happy father's day to your dad and WELL DONE to you! Wow Susan, that looks amazing. My Dad would have loved this dish. Lobster was one of his favorite things to eat. He would actually plan vacations to Maine just so that he could eat fresh lobster! I am too lazy to make anything with lobster:) But boy, does this look delicious! Yum! This looks fantastic! I am making risotto this weekend too (by special request), while camping no less, but mine won't be quite as decadent (though it will be made with gruyere and fresh asparagus - yum!) I love the idea of adding tomatoes with it too . . .
oh my god. that last picture, with the lobster claw on top, is AMAZING. i think i am going to dream about it tonight! I dont like risotto, but that's a recipe I'd try. That sounds so great...very posh! That risotto looks really good! deborah-I don't watch it, but I'm sure it was delicious. lydia-I'm glad they're local for you too. They're a treasure. joey-I know what you mean. emiline-Oh, go ahead and splurge! weareneverfull-Oooh, royalty. I like that. val-Lots of people in New England go to Price Edward Island too. What kind of broth do you use? Seafood, veg, chicken?